The 2018 californian almond objective estimate of 2.45 billion lbs is an increase on this years earlier subjective report in May, with a +6.5% boost, its also a 7.9% step-up on 2017 crop. Production from non pareil variety is forcaste at 910 million lbs, the lowest since 2005 down 0.8% and 21% below the 20 year average. 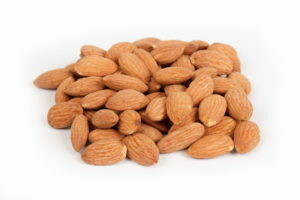 the Nonpareil variety represents 37% of Californias total almond production. This all demonstrates the inpact of February’s frosty weather on what could have been a larger crop. 2.45 is good news and will allow the industry to continue growing demand for Almonds, although many traders in Europe have been working on these estimations for some time.